Trend singularity: why are businesses going after the same opportunities? Technological Singularity, according to some futurists, is an event horizon after which the accelerated progress of technology and in particular artificial intelligence becomes too rapid and too extreme to predict. There are various arguments with regards to the exact timing of that event. I wonder if the structure of the singularity argument could be extended to other areas. For example, I think it’s safe to say we’ve pretty much hit the content singularity. Social media percolation is increasingly so efficient, that stories that once took days and weeks to move from the margins into mainstream media can now take minutes to do so. Once something is deemed interesting or important it gets liked/re-tweeted/etc and at a certain point bound to be broadcasted by one of the big connectors, mavens or salesmen and just take off. It’s on the next news bulletin and in tomorrow’s newspaper. Unlike with technology, a state of absolute efficiency is not very far from where we are right now. One area of business and marketing that is noticeably affected is cultural trend analysis. Trend spotting used to be a highly specialised area reserved to a small group of experts and gurus who made a nice living postulating the next big thing. Nowadays, the next big thing simply is or isn’t. Everybody has access to pretty much the same information, social media makes emerging patterns explicit on an unprecedented level. The trend forecasters still around differentiate at best by having access to unique data or analysis tools ; at worst by trying to come up with cleverer titles and quirkier examples for the same trends reported everywhere else. If this isn’t enough, trends develop so quickly that you’re always bound to have trend and counter-trend occurring simultaneously: Eating in and eating out, well-being and indulgence, thrift and luxury, and so on. One interesting side effect is that with many industries, it’s very clear that innovation has become almost regimented. Everybody is spotting the same trends and are therefore identifying the same opportunities and addressing them in increasingly similar manners. Traditional business paradigms require sound arguments behind any decision. A business plan behind every development, backed by compelling market data. But what happens when a lot of the data we all have access to points to the same content? Naturally, it will push to the front similar reactions to similar opportunities. But what if a business chooses to do the opposite. 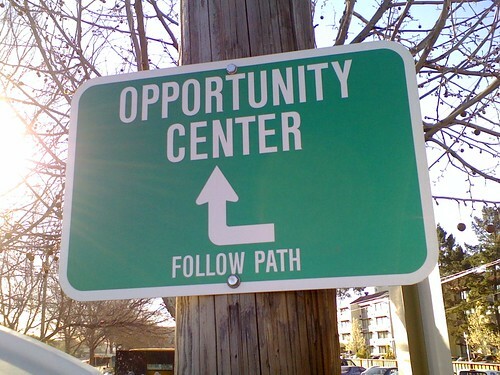 What if instead of heading to the obvious opportunity in the market you headed in the opposite direction? In our creative development processes, we often talk about “tackling the elephant in the room.”, heading intentionally for the least comfortable area. We try and bring in ideas from completely different categories or suggest new and strange analogies. What is the thing people are least likely to think of while wearing (or paying for) cashmere? Goats! People not visiting the National Gallery? Let’s hang priceless masterworks in the streets! The client asks for a screensaver? Let’s turn off their screens! We seek out the contradictions, the paradoxes, the conflicts and we often find that getting out of the comfort zone yields the most interesting results. The silver lining of “Trend Singularity” is that, increasingly, businesses will be pushed to take more risks if they want to maintain their competitive edge. Try different things, be more experimental, and dare we say – creative? It’s no longer enough to identify opportunities, you must now create them. This entry was posted in Branding, Marketing, Viral Marketing by Uri Baruchin. Bookmark the permalink.